Tokyo, Japan, February 5, 2019 – FOR-A will continue to demonstrate its commitment to 12G- and IP-enabled technology during the company's ninth consecutive appearance at CABSAT, being held March 12-14 at the Dubai World Trade Centre. The company is developing IP interfaces and remote-control capability via standard protocols for the 12G products for its existing 3G/HD product line. FOR-A will exhibit in booth A3-20 during the conference. "Our focus at CABSAT will be on delivering the latest innovations across our live production solutions – switchers, servers, routers, and graphics systems that align with our vision of 12G- and IP-enabled productions," said Mr. Takaaki Imoto, Senior General Manager, Overseas Sales & Marketing Division, FOR-A Company Ltd. "Our wide range of technology enables customers to migrate to IP-based operations while protecting their current investment. We’re looking forward to a very successful CABSAT in Dubai next month." CABSAT has historically proven itself a key platform for FOR-A to connect with customers. "The MENA market continues to grow for us," said Mr. Imoto. "We've secured some sizable, high-profile projects in this region. In previous years, we've showcased many new products, connected with our customers and identified new business opportunities and market trends. This year, we will continue along those lines. And we’re looking forward to the launch of several exciting new products, which we expect to draw more attention to our solutions." FOR-A's new media orchestration platform (SOM-100) provides seamless interoperability between baseband and IP traffic. An integrated baseband/IP control and monitoring system, it's designed for use in a mixed SDI/IP environment. SDI and IP routing switchers are managed as one routing switcher in a virtual group. The SOM-100 offers seamless operation of a variety of video equipment, monitored centrally from its interface. It can execute routing system control and process control, so that it supports collective operational changes of multiple pieces of equipment and executes time reservation. The system also features a web interface for easy access from multiple computers. 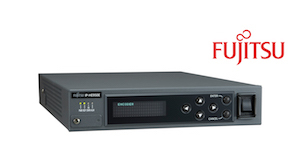 FOR-A will showcase the next generation in its line of signal processors – the FA-9600. The dual-channel unit provides HDR and Wide Color Gamut support and conversion of multiple formats, such as: 12G, 4K (UHD), 1080p, and SD/HD. Each of the FA-9600 processor's two HD/SD inputs includes a frame synchronizer. Because the multi-purpose signal processor features 12G-SDI terminals, optional software opens the door to 4K(UHD) production. Adding an expansion card provides four more channels of 3G-SDI input/output or six channels of 12G-SDI distributed output. The FA-9600 simplifies all types of video conversion. A newly developed color processing circuit supports the latest gamut and dynamic range specifications, and an optional converter circuit is available for up/down/cross conversion. Finally, FOR-A will show the latest developments in the area of remote production using Fujitsu IP-HE950 H.265/HEVC real-time video encoders. Employing the latest compression tools and image processing algorithms to provide best-in-class video fidelity, the IP-HE950 supports real-time 4K contribution, as well as SD and HD. FOR-A is a distributor of Fujitsu's high-performance encoders and decoders in North America, Europe, Middle-East and Africa, as well as select regions in Latin America. FOR-A will also demonstrate a stronger and more efficient HD integration with third party graphics, replay systems and production servers – resulting in greater flexibility and improved cost savings. FOR-A recently partnered with Variant Systems Group (VSG). Variant's Envivo Replay is a complete replay solution packaged with an intuitive touch screen user interface that can be learned how to use in 20 minutes. Integration with all of FOR-A's HANABI production switchers comes standard. FOR-A will also demonstrate ODYSSEY's Insight Production Server - a versatile four channel playout system designed for studio and OB Van environments. 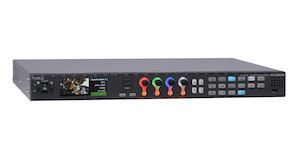 Insight's flexible event processor allows users to connect multiple devices and interact with FOR-A production video switchers, routing switchers, CG generators, GPIO-connected devices and other studio equipment to orchestrate event triggering for a seamless production. FOR-A will also provide demonstrations of the ClassX (CG) content creation and graphics playout solution. ClassX is a dedicated broadcast solution for 2D/3D character generation, live motion and play out graphics with numerous layers available. ClassX is integrated with all of FOR-A's HANABI video switchers. CABSAT features over 900 exhibiting companies and is the premiere technology show for vendors looking to reach broadcasters, production houses and studios, content owners and creators, systems integration firms and distribution channels in the Middle East/Africa/South Asia region. FOR-A, a worldwide, industry-leading manufacturer, offers a wide range of Broadcast and Production products with a focus on cutting-edge technologies including: HD, 4K and IP Products. FOR-A continues to offer future-ready, cost effective, advanced technology solutions. Products include: Video Switchers, Routing Switchers, Multi Viewers, Full 4K High-Speed Cameras, IP Encoders/Decoders, Multi-Channel Signal Processors, 8K/4K/HD Test Signal Generators, Color Correctors, Frame Synchronizers, File-Based Products, Character Generators, Video Servers and much more. For a full range of HD and 4K Production and Processing solutions, as well as IP-Based Products, visit our web site at www.for-a.com.